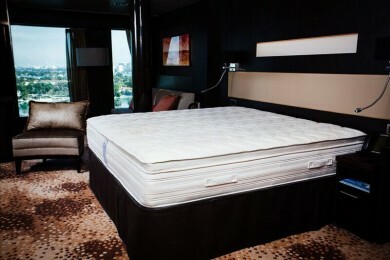 Our Bliss Bed Collection mattresses have been thoughtfully designed and manufactured. We use the highest quality materials and implement innovative engineering to provide you with the deep restorative, blissful sleep enjoyed aboard Norwegian Cruise Line. 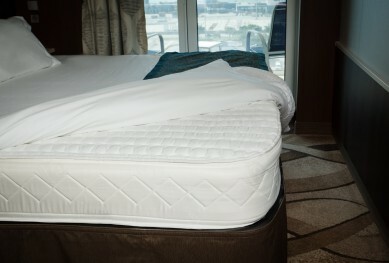 Float away into your dreams on one of our mattresses and sail into a blissful night's sleep. 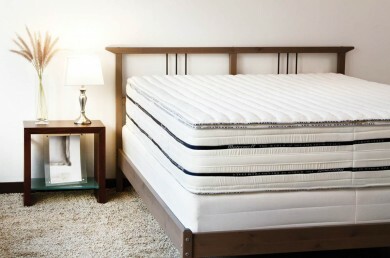 Bedding set included with the purchase of king or queen mattress.